There are currently 90,548 users on this website. 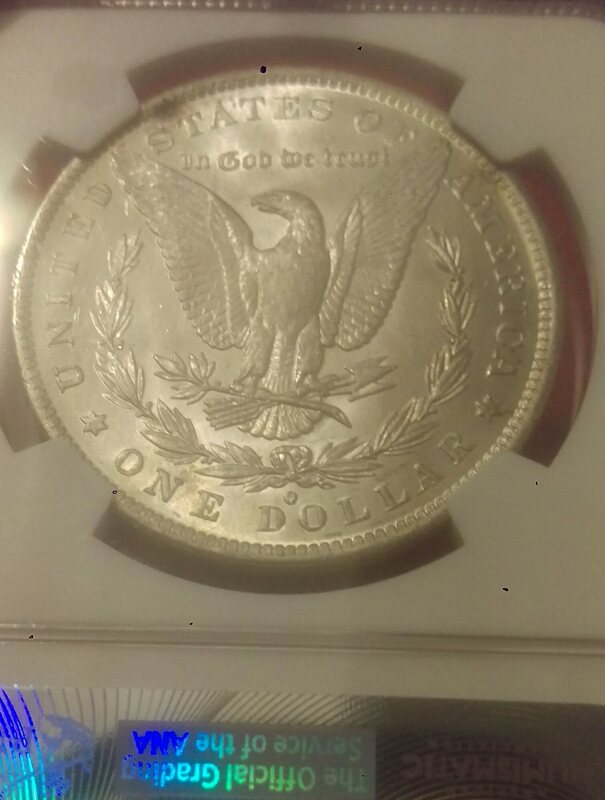 I recently bought a 1883-O Morgan dollar. It is slabbed by NGS and listed as "Brilliant Uncirculated"... so what grade would that be? Is there a certain number that matches with that MS 60 or something. I am new to this so any help will be greatly appreciated. I can post pictures later if that helps. NGS is a basement slabber. Do not trust their grades. The best two TPGs are PCGS and NGC. Yep, hope you made a typo there, otherwise it is a "Brilliantly" doctored coin. Now NGC will do Brilliant Uncirculated" if it is a problem coin. I have a 1909VDB that states "Brilliant Uncirculated" with the caveat "Altered Color" without further explanation. ATed? Cleaned? It still has slight luster but has an orangeish hue, weird. By using the term "Brilliant uncirculated", which does not have a precise definition, this company can sidestep accusations of over-grading, provided that the coin is at least MS-60. Not a bad strategy. I took the best pictures I could. What grade would you place on the Morgan? Thanks again for the help. Looks like NGC, which is better. Can we see the front too? Whew. That looks like an NGC holder. Much more reputable than NGS. 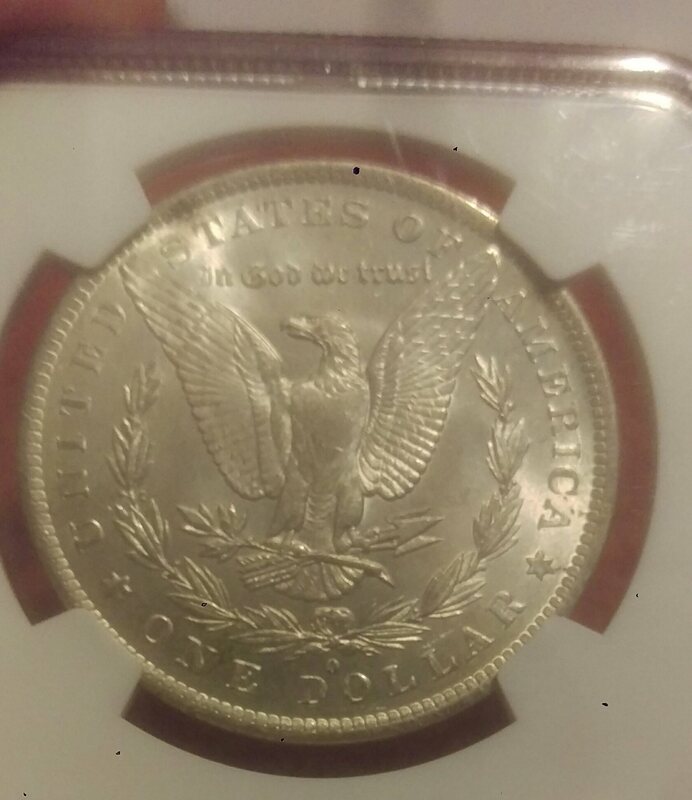 Can you provide pics of the obverse? Sorry that took so long....image optimizer is not my friend. Pics too small to grade from. This coin is from the Olathe Hoard. NGC only slabbed them as Brilliant Uncirculated. Here are better pics of the front. Thanks Again!